"The girls love the partition. Would use Beehive again"
"Excellent service. Would call on Beehive again to service our partitions"
"Would recommend to others. 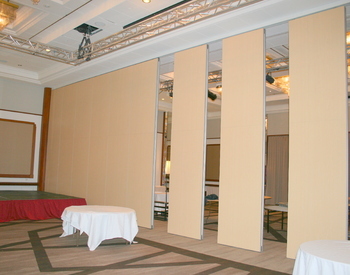 The partition enhances the look of the hall as well as adding extra meeting space"
"No hassle on the project. Very helpful and accommodating. Would use again"
"Fast and easy solution. Work carried out to a satisfactory standard"
Beehive Folding Partitions supplied and installed sliding folding partitions to the fourth floor meeting room to create multiple meeting room space with access from one to another via inbuilt pass door within the partition. The Palace Hub is a fantastic new facility built with the creative community in mind. It's stunning location at the heart of Redcar seafront provides an awe inspiring venue with excellent accommodation for creative's, be it permanent office space, studio space for artists. 'Pods', hot-desking and virtual space facilities are also available for fledgling businesses who will benefit form being in a supportive atmosphere with other like minded people.